Molyslip® is not a huge international conglomerate but a privately run company. Our customers are very valuable to us and each and every one is treated with the same respect and importance however big or small. Molyslip® has been supplying high-performance, innovative problem-solving lubricants to many industry sectors for over 80 years. Molyslip® is the tried and tested ‘go to’ lubricants brand for today’s modern engineer. All our products and raw materials are rigorously tested in our Quality Control Department prior to manufacture and despatch. Retained samples are stored to beyond the service life of each batch to ensure complete traceability of all the lubricants that we send to the market. All this is backed by a state-of-the-art IT system that enables complete traceability of all raw materials. Molyslip celebrates an 80-year heritage as an independent UK-based manufacturer of specialized lubricants. The company has been supplying superior lubricant products both nationally and internationally since the 1930s. In 1992 Jeremy Wills and Peter Haig took ownership of Molyslip® and under their leadership the company expanded and developed its range of specialist compounds and greases for use in all sectors of industry. 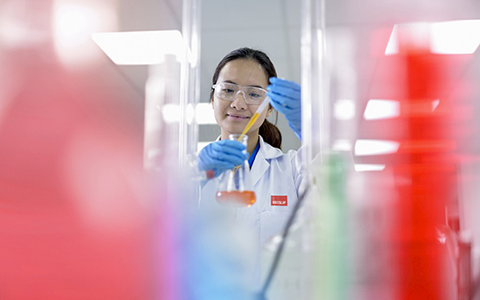 Science remains at the heart of our success and we continually invest in our site to ensure that our customers benefit from the best. We recently created a new Molyslip® Laboratory based in Manchester UK with a capacity to 126m². This new, fully equipped facility is used for both quality control and research and development. The state-of-the-art space provides a bright and airy workplace that is ideal for solving tough technical challenges. It is purpose built and fitted with the latest specialist laboratory furniture. The facility meets all the requirements for a modern day lubricant developer allowing us to produce first class products that repeatedly outstrip our competitors. Molyslip has a brand new Worldwide Distribution Center based out of its Manchester Headquarters. From here we can dispatch our lubricants quickly and efficiently. We ship our products in 20-foot containers and we use third party haulage to dispatch globally by road, sea and air. All our staff and hauliers are hazardous trained and fully compliant. All our products and raw materials are rigorously tested in our Quality Control Department prior to manufacture and dispatch. 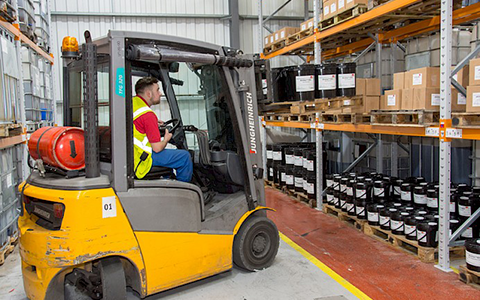 Retained samples are stored to beyond the service life of each batch to ensure complete traceability of all the lubricants that we send to the market. All this is backed by a state-of-the-art IT system that enables complete traceability of all raw materials. The Molyslip metalworking range of high-performance lubricants is designed for severe metalworking operations such as drilling, reaming and tapping. The range provides excellent surface finish to components and protects tooling from wear and damage. The range includes the tried and tested Molyslip metalworking lubricants plus the new, innovative Molyslip TAP range – for extreme performance applications, offering superior lubrication and a Chlorine-free and a water-soluble Chlorine and Sulphur-free option. The Molyslip range of premium-performance, anti-seize and assembly lubricants is specifically formulated to protect fasteners from seizure induced by extremes of temperature, pressure and corrosion. The range is comprehensive and ideal for a multitude of applications, operating temperatures, operating conditions and metals. 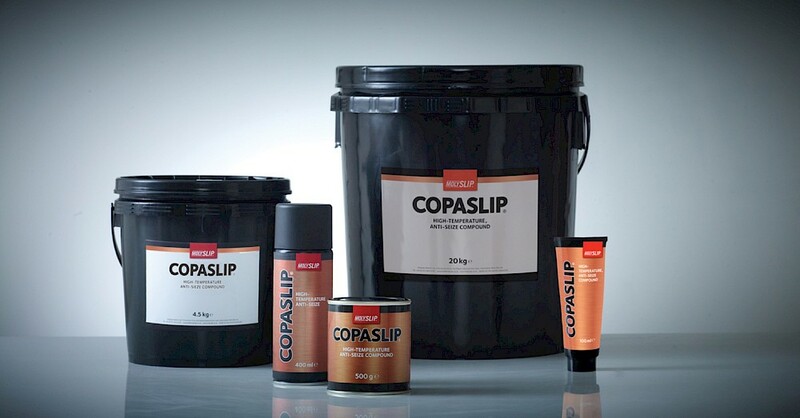 Providing outstanding protection to threads and components, the range includes the famous COPASLIP, the choice of champions for many decades, as well as specialist products for including food-grade and non-metallic options. 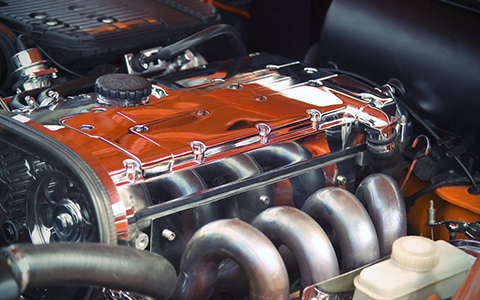 Molyslip provides engineers with a comprehensive range of technically advanced Maintenance, Repair & Overhaul lubricants designed to meet the needs of modern industry. Consisting a range of state-of-the-art Arvina bearing and open-gear greases, chain oils to meet the most demanding operating conditions and wire rope lubricants that are compliant with today’s stringent environmental requirements. The Molyslip Maintenance, Repair and Overhaul range is completed with complimentary products that protect metal components against corrosion and a selection of clean and easy to use high-performance, cost-effective aerosol products. The marine and offshore oil and gas industries represent some of the world’s harshest operating environments. Molyslip is the tried and tested lubricant brand with products specially formulated to keep machines and equipment operating in these demanding conditions. The Molyslip all-encompassing range of superior performance OCTG drill collar and tool joint compounds, valve, BOP and flow control lubricants, technically advanced wire rope, jack-up and open gear greases and salt water resistant corrosion preventatives contain products to meet the environmental needs of the modern operator (HCONF approved / VGP compliant etc). Coupled with the industry proven Molyslip maintenance and new build lubricant ranges, we offer the complete package to the marine and offshore engineer. Superior performance oil and gas products that meet the environmental needs of the modern operator. High class lubricants, especialy designed for your engine. We provide protective equipment so that all our engeneers are safe during work hours. ARMOS EXIM Field Service Technicians have been involved in major Solids Control and Drilling Waste Management Projects in Europe, Middle East and Africa since 1996.